Ruth White applies theoretical frameworks using analytics grounded in sociology, public health, social welfare and economics to solve complex problems. She teaches social policy, and leads the management and organizational development course in the Virtual Academic Center. Dr. White specializes in stress management, community-based strategies, organizational change, mental health, and policy advocacy. She has worked in health and social welfare in the United Kingdom, Canada and the United States, and collaborated with organizations and governments in Belize, Uganda and Jamaica. She is the author of the Stress Management Workbook: De-stress in 10 minutes or less, Preventing Bipolar Relapse, Global Case Studies in Maternal and Child Health, and Bipolar 101. For five years, she co-led Maama Omwaana, a community-based program for improving the maternal and child health outcomes for a community in Uganda that resulted in a tripling of use of maternity services in less than five years despite stagnant overall clinic attendance. White transferred the project to the local department of health, which still manages the program activities. Local leaders that emerged from this program are now part of the National Secretariat of the White Ribbon Alliance in Uganda. Her professional service includes being on the editorial board of the American Journal of Public Health, and the review boards of the American Journal of Health Behavior and the Journal of Social Work Education. She referees articles for many other journals and organizations, such as the American Public Health Association and Culture, Health and Sexuality. 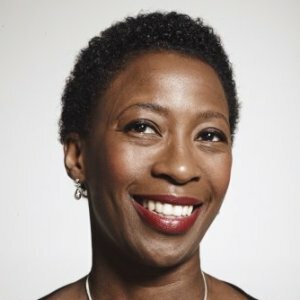 White's work has been featured in print, TV and radio, including the New York Times, Women's Health, PsychologyToday.com, Marie Claire, Woman's Day, Parent Map and in a popular social welfare policy text. She has hosted a policy-focused radio show, written magazine features and authors well-received blogs. As an expert witness, she has worked with Yale, Columbia and New York University law schools, immigrant and gay rights organizations, and law firms such as Sidley Austin LLP. Ruth White’s presentation on cultural awareness brought new insight and opened doors to a group of engineers who are doing engineering projects in the developing world. Her presentation was insightful and engaging and demonstrated the need for a community practice rather than an engineering fix. Ms White was able to cross communication lines and was able to appeal to a more technical based audience. Dr. White has by far been the most inspirational professor I have had in my entire academic career. The passion Dr. White demonstrates within her lectures have encouraged numerous students to apply themselves beyond their own expectations. Using her unique sense of humor, Dr. White comes across as an extremely accessible and enjoyable lecturer. She can speak to a large group of college students and not only get them all to laugh, but she can also make them feel as though she’s made a personal connection to each and every one of them. Dr. White has a reputation for being effective and efficient and committed to the needs of the community. She is held in the highest regard by community health workers, traditional birth attendants and health professionals in the region because she is a woman of her word who goes the extra mile to give her best. She brings out the best in colleagues by building capacity through training or through mentorship or leadership, whether they are community health workers or clinic staff. As a district health officer, I have observed Dr. White for 5 years and found her work to be of the highest quality in her collaboration with the Njeru community. She lets the community set the agenda and then she works with them to achieve their goals. More than 60 million Americans experience devastating one-two punches to their health—they have inadequate access to basic health care while also enduring the effects of discrimination, poverty, and dangerous environments that accelerate higher rates of illness. Innovative and evidence-based social strategies can improve health care and lead to broad gains in the health of our entire society. Social isolation is a silent killer—as dangerous to health as smoking. National and global health organizations have underscored the hidden, deadly, and pervasive hazards stemming from feeling alone and abandoned. Our challenge is to educate the public on this health hazard, encourage health and human service professionals to address social isolation, and promote effective ways to deepen social connections and community for people of all ages. Increased automation and longevity demand new thinking by employers and employees regarding productivity. Young people are increasingly disconnected from education or work and the labor force faces significant retirements in the next decades. Throughout the lifespan, fuller engagement in education and paid and unpaid productive activities can generate a wealth of benefits, including better health and well-being, greater financial security, and a more vital society. "Though she was born in London and spent her teens and early 20s in Canada, Ruth C. White speaks with a lilting accent that is unmistakably Jamaican. So it was little wonder she felt drawn to the young Jamaican man named Everton who was her coworker at a trendy Ottawa clothing store. They became close friends..."
"What’s important about the Andre’s bipolar plotline, per Dr. Ruth C. White, Clinical Associate Professor in the School of Social Work at the University of Southern California, is that he is presented as a highly ambitious and active person whose achievements aren’t extraordinarily hindered by him coping with this illness..."
" Ruth C. White, a regular Empire viewer and author of Preventing Bipolar Relapse, points out his impulse buy of a brand new Lamborghini (at the same time that Empire is in a potentially dire financial crisis) as a key instance of him in a manic state..."
Learn more about why women ages 40 to 64 are vulnerable to developing a mental health issue. Why are some people racist and judge others by the colour of their skin? Is it some deep seated fear of the ‘other’ which has roots in genetic and cultural difference or are exposure to artificial factors constructed by politicians and the media to blame? This week's Why Factor with presenter Jo Fidgeon explores the experience of racism around the world and in different societies. She finds out about the personal experiences of racism and how it affects peoples’ everyday lives. She also begins to understand how racism is perpetuated through generations and cemented through institutional racism. A conversation about race and politics as it refers to how conservative radio reflects Republican Party values with regard to race. Culture in Mind explores all the ways in which culture, broadly conceptualized, interacts with mental health. Whether that be the culture of war or the culture of work or cultural norms and values that are passed down to us through our families. There is a special focus on race and ethnicity.